Many modern IT leaders are fascinated with virtual reality (VR), but they're also cautious about investing resources too early. 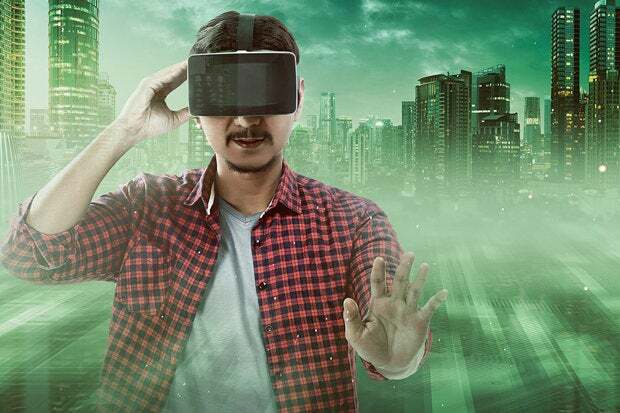 Marketing opportunities in VR could speed up the timeline, however, and put pressure on CIOs to ensure they are leading the charge to blend marketing and VR with proficient technical underpinnings. "CIOs can help marketers anticipate the implications of the technology," says Thomas Husson, vice president and principal analyst at Forrester Research. IT professionals will be indispensable to determining standards around VR, how marketers should capture content in VR-ready mode, and when marketers should work with IT to build their own VR systems, according to Husson. Marketers don't currently need a lot of IT assistance to launch today's VR games or movies, but CIOs should prepare for a time when interest in VR will grow throughout their organizations, according to Augie Ray, a research director that analyzes customer experiences for marketers at Gartner. "As VR and AR opportunities grow for needs such as sales support, training and customer care, CIOs can ensure standards are set, redundancy of platforms and services are minimized and, as always, that data, security and privacy needs are addressed in this new technology." Following the release of the Oculus Rift headset and the developer kit for Microsoft HoloLens, the buzz around VR spiked, but the technology isn't going to change the marketing world immediately, according to Ray. "Many marketers are interested in top-of-the-funnel attention getting VR apps to raise awareness … but the greater opportunity will come lower in the funnel" when VR adoption rates grow and more meaningful experiences inform customer purchasing decisions. Home improvement store Lowe's HoloRoom project, which gives customers a way to envision their new kitchen or bathroom design using VR, is a "good example of how marketers can apply new VR technology to solve existing customer problems and help lift sales and conversions," Ray says. Lowe's is currently piloting HoloRoom in 19 U.S. stores, and the company says it plans to expand to more locations before the end of the year. "As VR hardware and consumer adoption grows, marketers will be interested in exploiting opportunities throughout the funnel, from awareness to evaluation to conversion," Ray says. "Marketers will have to be cautious to match investments and expectations to the scale of VR in the coming years." Most consumers will initially adopt phone-based VR systems, such as Samsung's Gear VR for gaming and, eventually, shopping, but dedicated and more capable VR equipment is expensive and will take much longer to hit critical mass, according to Ray. Gartner projects global sales of head-mounted VR displays will jump from 1.43 million units in 2016 to 39.87 million units in 2020, and Forrester Research says 30 million U.S. consumers will use the technology by 2020. The overlap with augmented reality will grow and open new windows for marketing, particularly among businesses in automotive, travel, hospitality, sports and real estate, according to Husson. "While not necessary the next big thing, VR will certainly open opportunities for brands to evolve their storytelling and enable them to create more sensory experiences," Husson says. "Many agencies are pitching VR to marketers as a cool new technology and CIOs should make sure their marketing counterparts start internalizing the technology once it starts scaling." IT professionals must often make decisions about building versus buying new technologies, and the trick is knowing when to shift from buy to build, according to Ray. Most marketers today only experiment with VR, and they look to outside talent for expertise, but CIOs and IT leaders should try to help their marketing colleagues choose the right vendors, Ray says. Until VR becomes a strategic imperative, however, IT leaders are unlikely to find it economically feasible to build VR capabilities in house, he says. When critical mass gathers around VR, "the need to create, maintain and host 3D assets and launch dynamic VR apps that integrate with product and customer databases will demand close collaboration between marketing, IT and other departments," Ray says. "Most marketing VR apps are merely standalone games or videos, but in the future, as marketers explore VR and augmented reality commerce, the needs to integrate with live data will demand IT support and partnership."